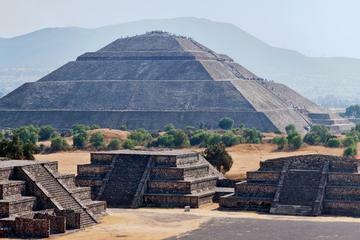 The metropolitan Mexico City has a lot to offer to all the shopaholics around the world. You will find gigantic shopping malls, flea markets and traditional markets in this city. 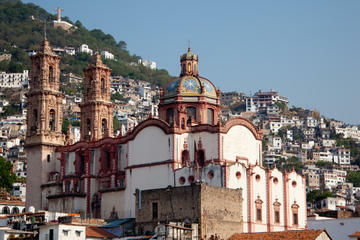 The colourful markets sell exotic Mexican arts, crafts, clothes, jewellery, food and all other kinds of local produce. In spite of the emergence of the big-brand stores and shopping malls like the Reforma 222, Perisur, etc. 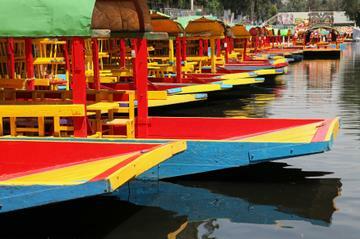 the local markets in Mexico City like La Lagunilla Market and the Tianguis Cultural del Chopo are still going strong. So come and unravel all the shopping destinations in this exotic city, and take home bags that are full of souvenirs and memories. The Reforma 222 is a place which caters to all your material needs under one roof. This shopping mall is located at Paseo de la Reforma and houses high-end brands like C&A, Zara, Bershka, Women's Secret, Sanborns, etc. At Reforma 222 you can find things like clothing, accessories, electronics, books, music and all other kinds of consumer goods. The Perisur is a complete shopping destination and is also one of the oldest in the city since it was established in 1980. Situated in the Coyoacán borough the mall is in a prime location and has close proximity to the National Autonomous University of Mexico. The mall boasts of about 230 stores, 25 fast food joints and a dozen restaurants of all kinds. The Centro Santa Fe or Centro Comercial Santa Fe is a shopping complex located at Cuajimalpa in Mexico City. This place is huge with about 400,000 square meters area, and is the largest enclosed shopping complex in Latin America. The complex includes many international brand stores, 22 screen movie theatres and supermarkets. The Pabellón Polanco is situated in the cultural Polanco district and includes shops for items like footwear, optics, health and beauty, clothes, etc. The shopping complex also has fast food joints and restaurants to have a bite after your rigorous shopping sessions. This shopping complex has regular sales and also offers generous discounts on your purchases. If you want to experience a true traditional Mexican market, then the La Lagunilla Market is the place you should go. This place is divided into three parts; one is for clothing, another for furniture, and one more for foodstuffs. This market also has a weekly “tianguis” market which is a market of used goods as well antiques. This is a flea market, which is held each Saturday near downtown Mexico City. But the Tianguis Cultural del Chopo is not your usual city market, you may come across things like hippie collectables, antiques, old DVDs etc. This market also has a stage for live performances of different kinds of upcoming bands. The Mercado Sonora is a place where you can get things and ingredients that are needed for Mexican magic and witchcraft. The shops are full of amulets, voodoo dolls, potions and other items of that kind. Some shops also sell animals, medicinal plants and other illegal products. However, this market is the best place to get decorative items for the Day of the Dead celebrations. At the City Market, you will find all kinds of gourmet food, fruits, vegetables, spices and many more varieties of foodstuffs. This place boasts of bringing food from the most remote places right up to your dinner table. Wines of different varieties and from different countries can also be found here. The Merced market is the biggest retail food market in Mexico City and is situated in the neighbourhood of La Merced. The stalls at this market sell vegetables, fruits, grocery, spices, meat, fish, etc. Many traders and businessmen come here to display and sell their goods from far and wide. The place is always busy with sellers, traders, buyers and vehicles from morning till night.